Specialising in Racing Cylinder Heads and Performance. Racing is in our DNA, we have been racing and building race cars and or heads for years and years and we can proudly say that we have more than 50 years of accumulative race cylinder head knowledge. All our staff on the floor have petrol and diesel flowing in their veins – we are passionate about increasing performance and building good cylinder heads. The technology in manufacturing and production of motor vehicles are moving forward fast but mass production is still the order of the day in modern car building. This means that there is still plenty of room for improvement around performance enhancement especially in the cylinder head. 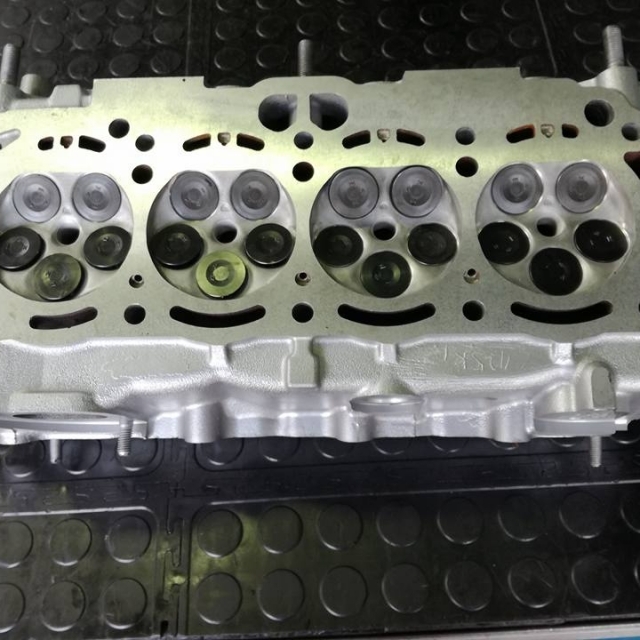 We are able to build cylinder heads from mild street to full blown race – it all depends on the requirements. We gather information from our clients regarding the vehicle, the application and personal requirements and carefully formulate a plan that suits the needs. So if you are looking for an upgrade on a road going vehicle or a full blown race head, naturally aspirated or forced induction – we can help. There are a number of aspects to keep in mind in blueprinting or building a good performance cylinder head, it is all about volumetric efficiency, combustion efficiency and of course cylinder and combustion chamber sealing. Valves and camshafts play a big role as do valve spring pressures, valve guides, valve spring travel, valve lift etc. We use the best technology available to optimise all of these functions and more. Each application when considering a cylinder head conversion is very different, towing, drag racing, drifting, spinning, oval track racing, rally cars etc. mention only a few. Call us to have a chat about your needs. 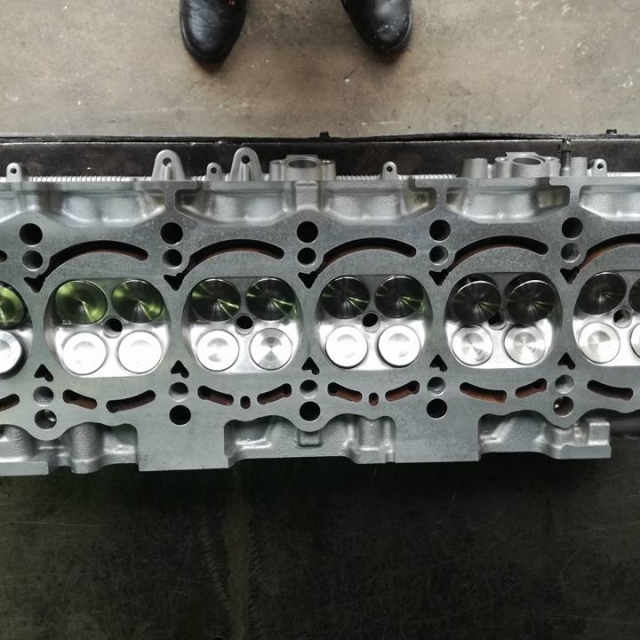 One very important thing to remember when building performance cylinder heads is that the best head available in the world will be worth absolutely nothing if the head is not assembled, installed and tuned by a similarly qualified person. We can give advice in this regard. Competitive race cylinder heads often prove to be the deciding factor in ensuring the difference between podium finishes and a mediocre race season. The goal of being the best in your chosen field is to ensure your equipment has been engineered by the best in the industry for the best results. At SAC Engineering our tried and tested methods for up to 50 years of combined knowledge and skills and with the correct equipment to measure everything from air speed, air volume, cam lift & duration, valve lift, angled seats, high rev spring kits, light weight big valves, billet & re-profiled camshafts, solid head conversions, special guides to mention a few will give you the winning advantage. With recent record-breaking achievements, one of our regular customers has achieved the fastest rear wheel drive, street legal 2JZ powered Toyota Supra in South Africa. What sets this vehicle apart from competitive drag racing is the fact that the vehicle is 100 % street legal. ICE Motorsport’s Toyota Supra called Hell Boy has been featured in the Speed & Sound Magazine and numerous videos can be found on Youtube. To be the best, you have to deal with the best in the industry. We are confident in our capabilities to ensure our clients receive extraordinary service, reliability and an excellent product that is results driven.